This week I'm going to talk about layers. 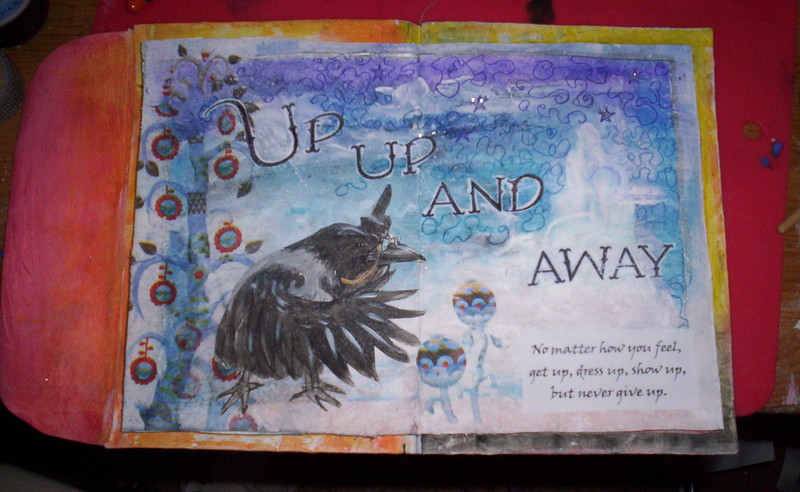 There are two kind of layers in art journaling; translucent and opaque. Stamps and stenciling can be both - there are large stamps and stencils that cover a large area, and are then opaque layers. I consider tip-ins to be an opaque layer, as they cover quite a lot of the page, even though they can be moved out of the way.